Spring Steel is that material used generally to make springs. Objects made of spring steel are characterized by their susceptibility to deformation and the ability of regaining the initial shape. 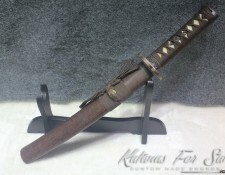 The use of this material has extended; it has been introduced in the Sword industry. 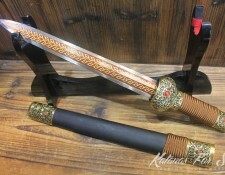 The material particularity, which is the high resistance to bending effort and metal fatigue, give the Swords made of it an extra durability and a better resistance to abrasion and corrosion. 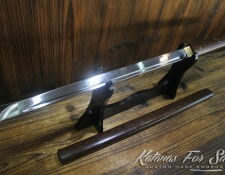 Actually, Spring Steels are alloys of Carbon Steel and some elements that would add some valuable properties. 9260 Spring Steel is obtained by adding Manganese and Silicon to Carbon Steel; the added amounts of these elements to the alloy have several effects on the durability, the hardness and the corrosion resistance of the material, and the object that are made of as well. The four Digits number used to reference this particular Spring Steel refer to the major elements used to produce this alloy. It contains %2 of Silicon and about % 0.9 of Manganese. The material that results from this combination is very resistant to corrosion and abrasion. 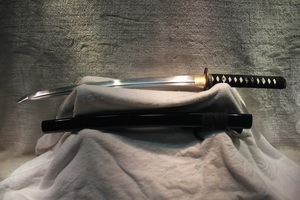 Silicon element give the material the highest metal fatigue resistance with a high tensile strength: objects made of 9260 Spring Steel, especially 9260 Spring steel Katanas, are characterized by a high resilience to lateral bending and they are able to get their original shape back even after being exposed to an extreme bending effort (bending to °90). 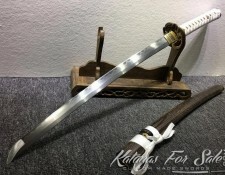 The material is hard and is expected to be hardly forged by hands to make swords. Compared to its nearest similar Carbon Steel type, the 1060 Carbon Steel, 9260 Spring steel is resistant to heat treatment and it is able to preserve its attributes under extreme heat-treatment conditions. 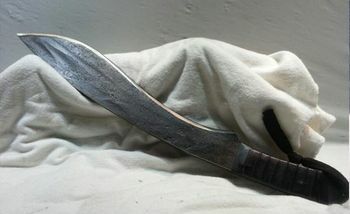 It is important to signal that for Carbon Steel, the heat treatment is the stress phase that would result or not in good and usable material. 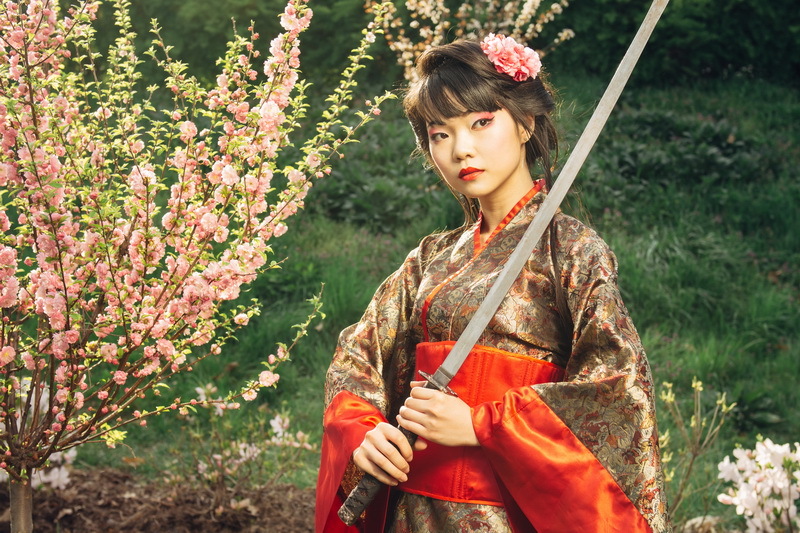 Besides bending resilience, Silicon gives the Spring Steel material the characteristics of being hard and tough. 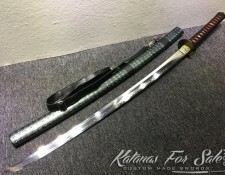 Here again, compared to the Carbon Steel with same Carbon concentration, 9260 Spring Steel has a very high shock absorption capacity; this property is appreciated in the 9260 Spring Steel Katanas. 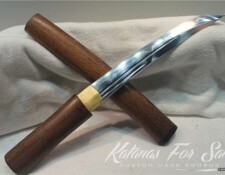 Due to this characteristic, it is obvious that 9260 is very hard to forge by hand. Processing the material at high temperature is the only way to make it responsive to forging operation, the material being already resistant to heat treatment and there is no major fear that it loses the carbon fraction. 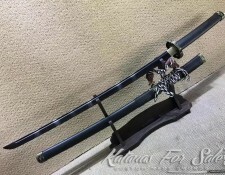 The excellent durability, the high resilience to bending efforts and the hardness of hand forging of the 9260 Spring Steel make it a very expensive material. 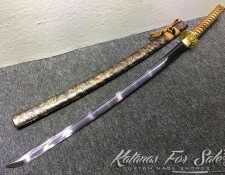 With several sub types, this material is a god choice to pick when it is about making Katanas for sale. 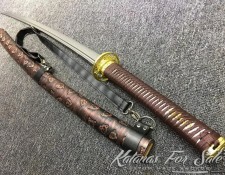 Actually, sword smiths use 9260 TH, 9260 Hybrid, 9260 Lam and 9260 DH. These sub types share the high resilience and the excellent heat treatment ability. 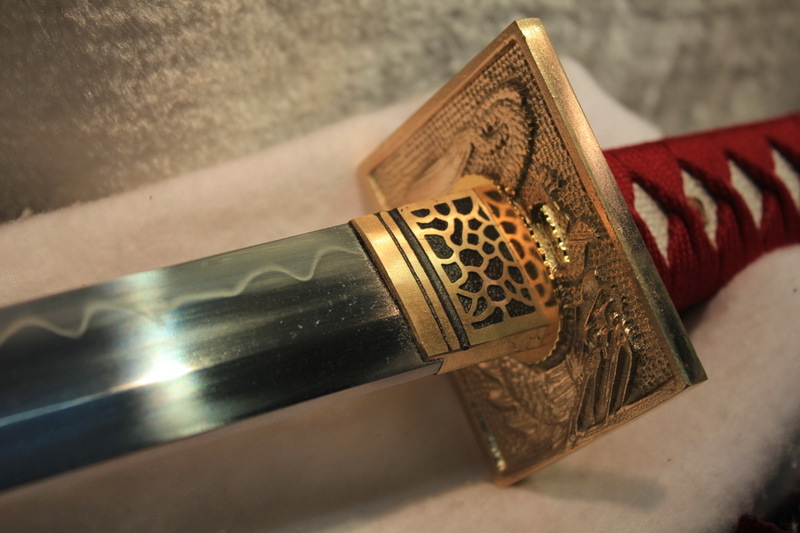 The hardness of the Steel is one factor that encourages swords man to opt for it because it ensures the durability of the sharp edge and the low need for extensive care. 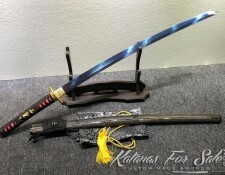 Therefore, 9260 Spring Steel Katana is expected to be hard to forge sword that lasts for long. 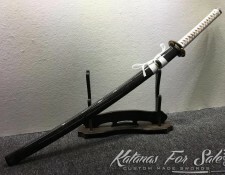 9260 Spring Katana inherits lots of the material properties. 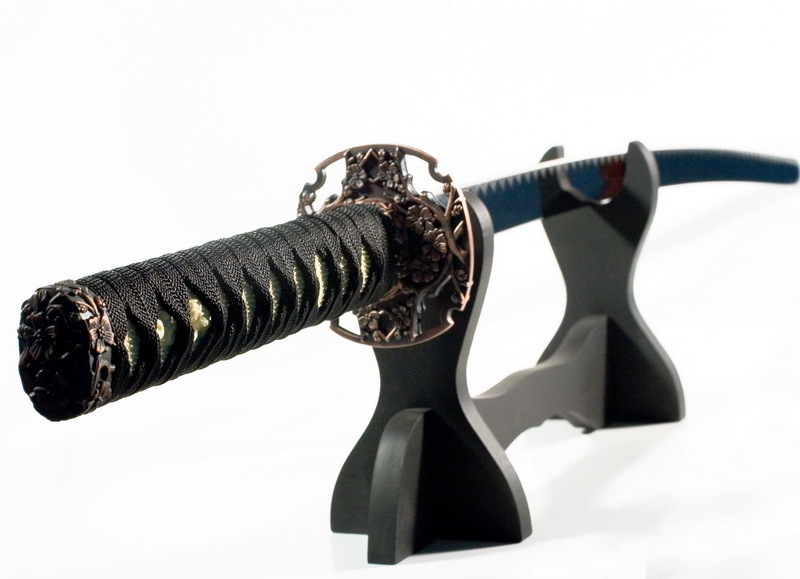 The Samurai Sword made of this type of steel is very resistant to abrasion and highly resistant to corrosion. 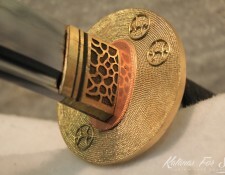 It is hard to obtain by hand forging and therefore very expensive. 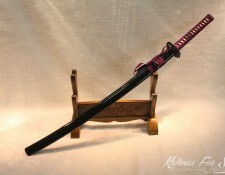 The use of this particular type of material implicates additional information especially about the way it is intended to be used: if the user plans to use the Sword for cutting, it is better to make the sword relatively longer than normal, if the user intends to use the sword and to strike it on the blade sides, then it is better to make a thicker sword. 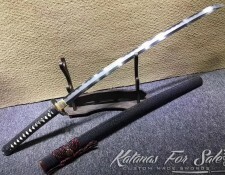 9260 Spring Steel Katanas are much suited for frequent dojo cutting ad are preferred when it is about single or occasional multiple roll of Tatami omote. 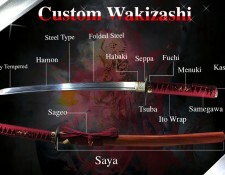 Definitely, the hardness and the durability of the Steel make the edge to remain sharp for long time. 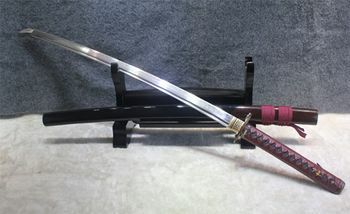 The super absorption of shocks gives the Sword the ability of taking no major damages when hitting tough objects for several times. 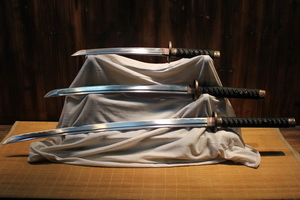 The excellent resistance for metal fatigue makes the 9260 Spring Steel Katanas the best tools for regular dojo cutting and backyard displays. 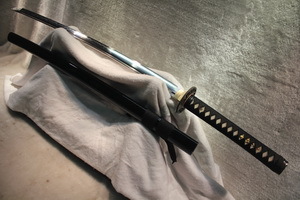 9260 Spring Steel Katanas are hard to produce through hand forging, yet they are very resistant and last for long time. Clay tempering enhances the hardness of the edge and increases the resistance to corrosion. 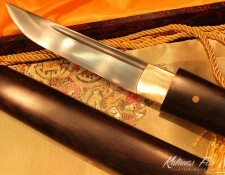 Clay tempering and quenching are the alternation that gives the blade the curved shape. 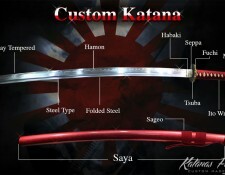 Differential hardening can be substituted by adding some Steel layer and fold them with the Blade Steel creating a particular and distinguished Hamon. It is important to notice the flexibility properties of the 9260 Spring Steel are susceptible to be lost if not properly Clay tempered. 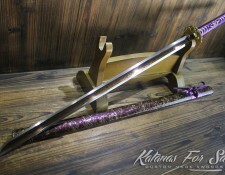 Actually, the flexibility degree tends to decrease with the number of tempering application. 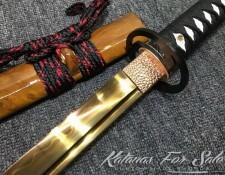 The best to do is to mono temper the blade of the future 9260 Spring Steel Katana to preserve the maximum degree of flexibility. 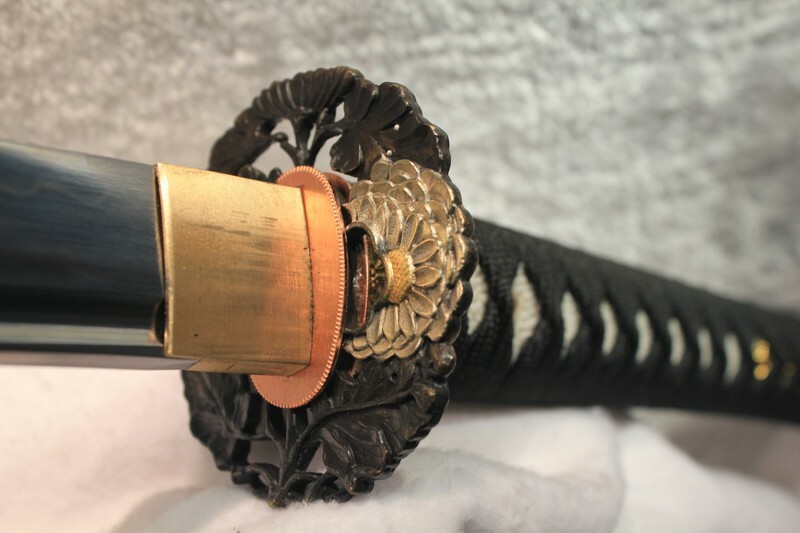 The price of the 9260 Samurai Sword is high because working the 9260 material into swords is very hard and very delicate process. 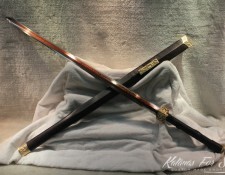 Moreover, the pieces to associate with the full tang blade are destined to support a very tough material that can take few damages while extensively used; these pieces are supposed to be made of hard and resistant material and therefore the overall price would increase. 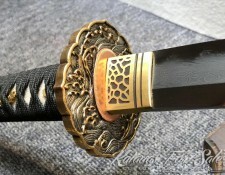 Somehow, the durability and the easiness of maintenance that requires the 9260 Spring Steel are enough to counter balance the relatively high price: 9260 Spring Steel really worth it.